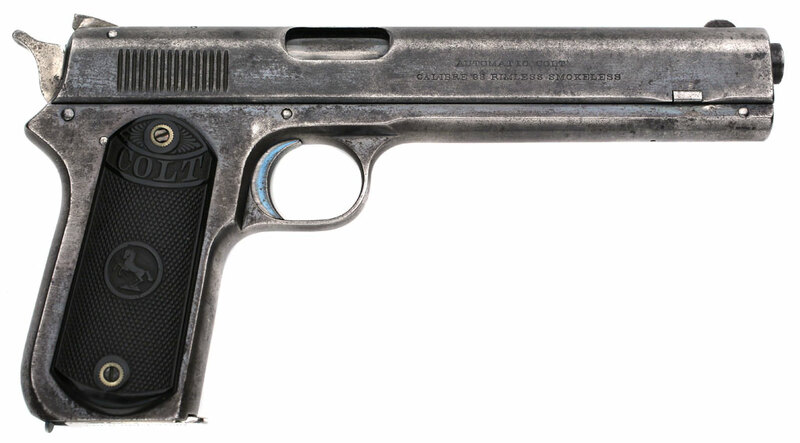 Colt Model 1900 Sight Safety Serial Number 170 - The Colt Model 1900 is the first Browning designed automatic pistol model licensed to and manufactured by Colt Patent Fire Arms Manufacturing Company. 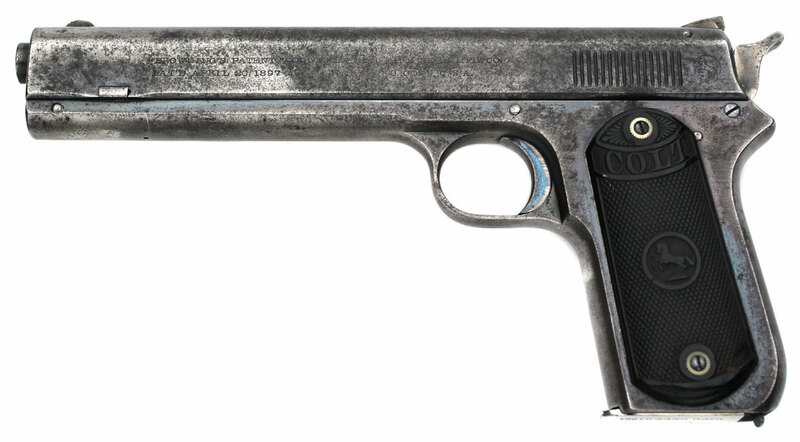 This pistol was manufactured in 1900, the first year of production and is the first variation of the Model 1900 with rear plunge milled serrations, high polish blue (traces) and fire blued small parts. While the stocks are not listed in the letter, it most certainly left the factory with smooth walnut grips. 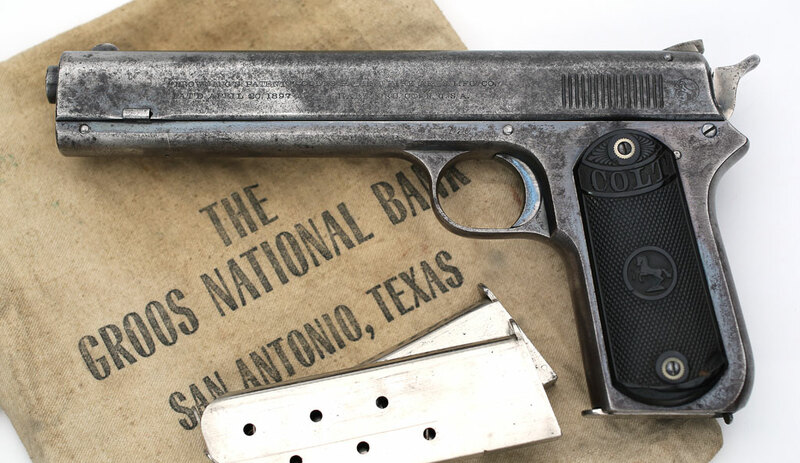 Colt Model 1900 Sight Safety Serial Number 170 - The Colt Model 1900 is the first Browning designed automatic pistol model licensed to and manufactured by Colt Patent Fire Arms Manufacturing Company. 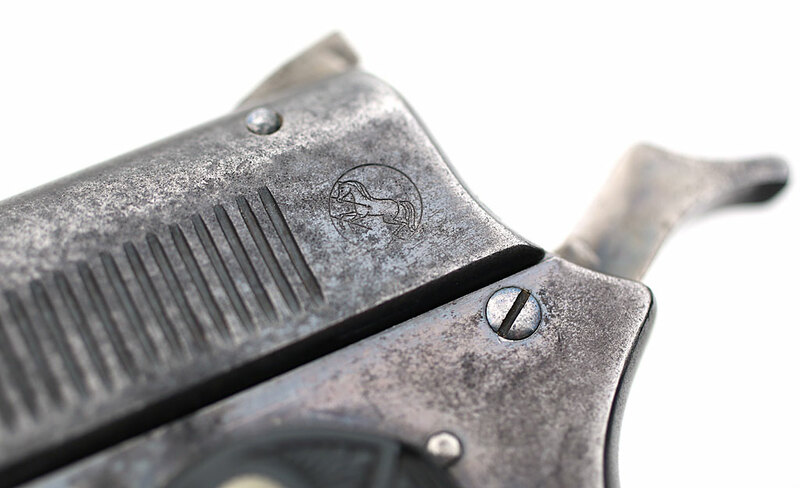 Colt Model 1900 Sight Safety Serial Number 170 - Close-up of matching serial number inside slide. 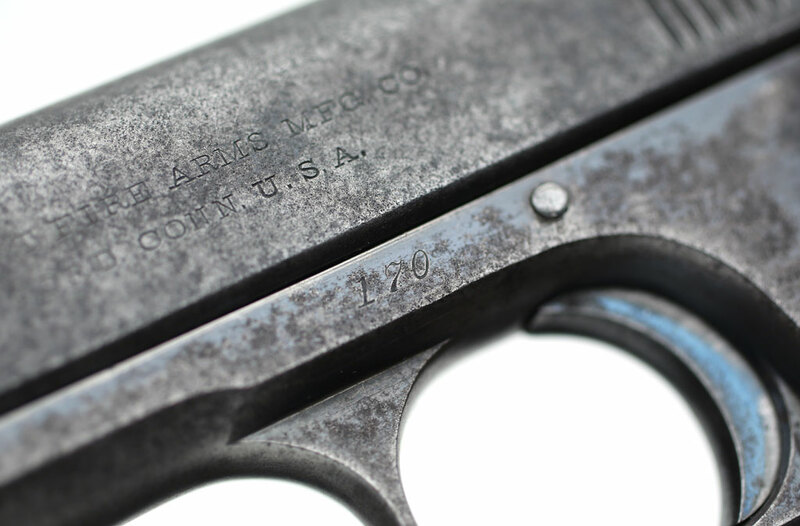 Colt Model 1900 Sight Safety Serial Number 170 - This Colt 1900 pistol was one of seven guns shipped May 23, 1900 to Simmons Hardware Company, St. Louis, Missouri. 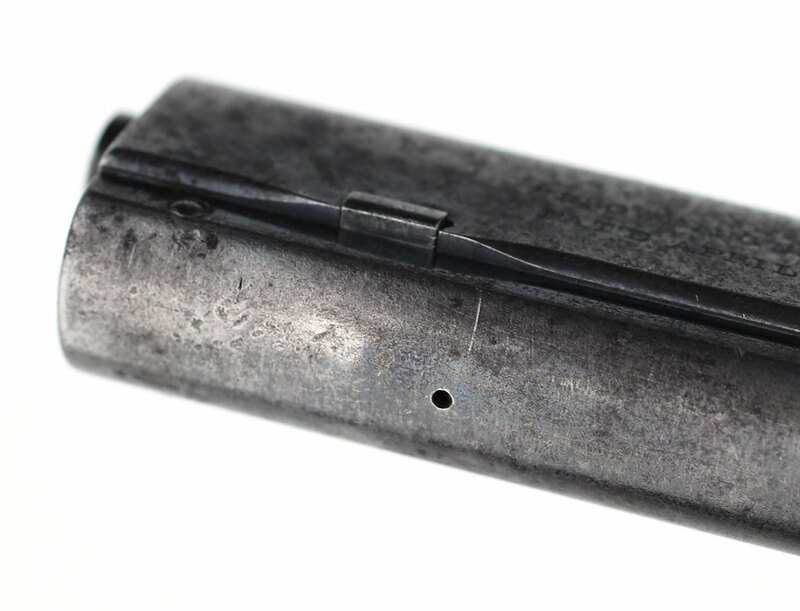 Colt Model 1900 Sight Safety Serial Number 170 - This is the factory repair record for Colt Model 1900 sn 170. 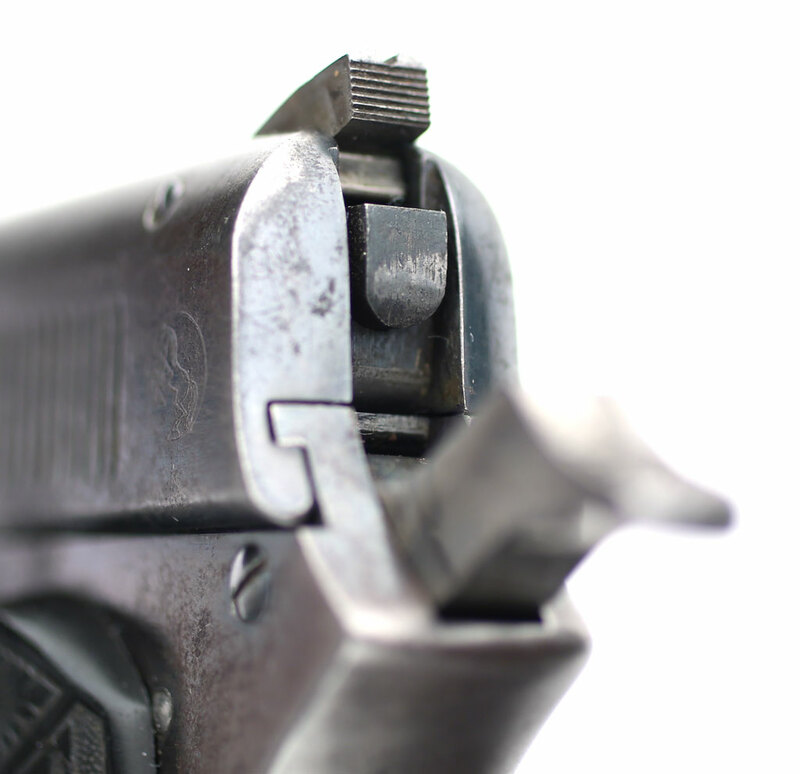 "#170 - .38c Auto C.P. July 9, 1901, changed sears, safties, extractors, Sear sp's (springs), retractor sp's (springs). followers. etc. Refinished. Simmons Hdwe Co."
Colt Model 1900 Right Side - "AUTOMATIC COLT" over "CALIBRE 38 RIMLESS SMOKELESS". 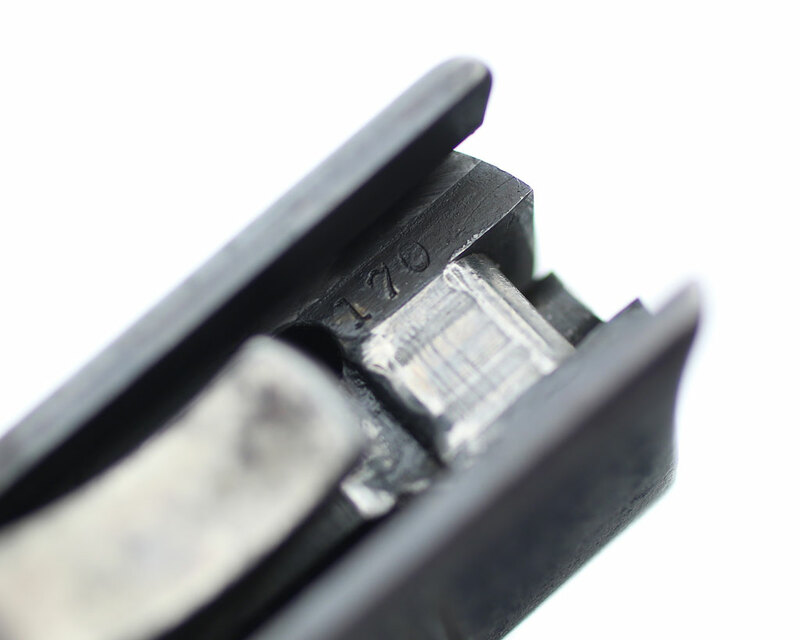 Slide features rear plunge milled serrations. Colt Model 1900 Sight Safety Serial Number 170 - Colt Model 1900 left side slide markings are "BROWNING'S PATENT" over "PAT'D APRIL 29, 1897" and COLT'S PATENT FIRE ARMS MFG CO." over "HARTFORD CONN U.S.A." Serial number 170 is on the left side of the frame above the trigger. 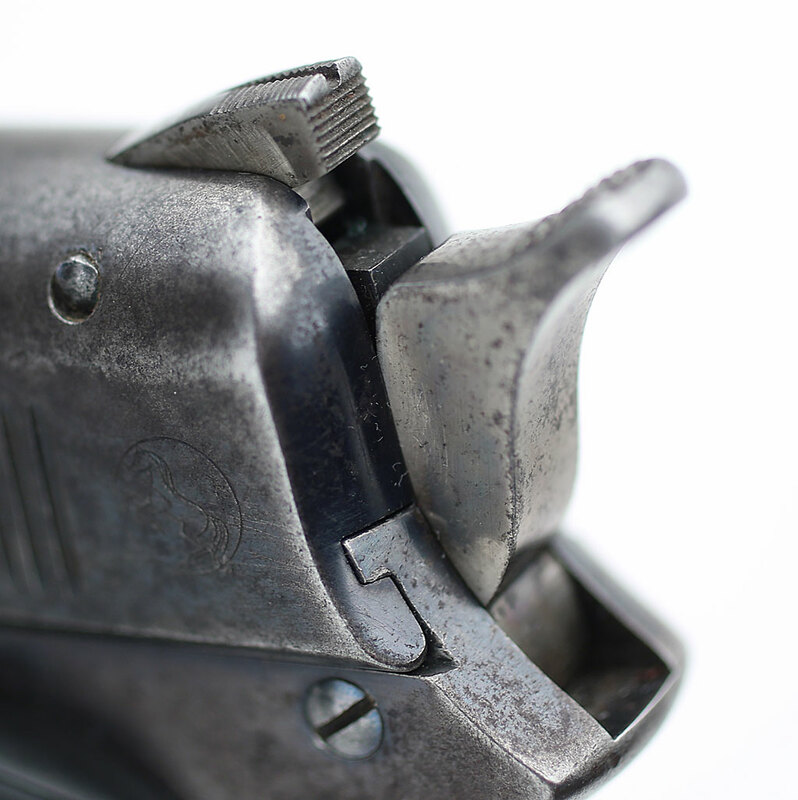 Colt Model 1900 Sight Safety Serial Number 170 - close-up of hammer and sight safety. 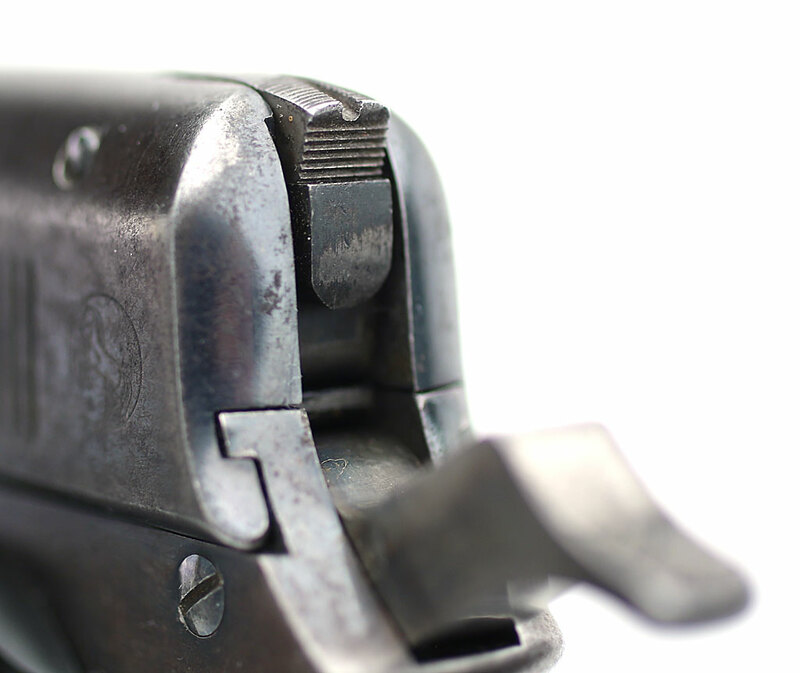 Colt Model 1900 Sight Safety Serial Number 170 - close-up of muzzle. 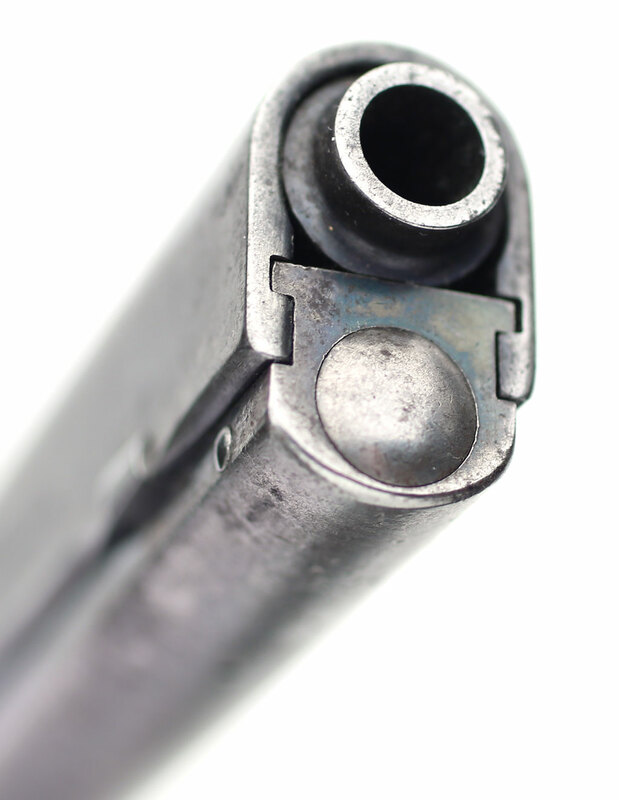 Colt Model 1900 Sight Safety Serial Number 170 - close-up of hole under forward part of frame for takedown of the pistol.